Xeno 200 is a topical insecticial spray for the prevention and treatment of common internal and external parasites of rabbits, guinea pigs, rodents, ferrets, birds and reptiles. 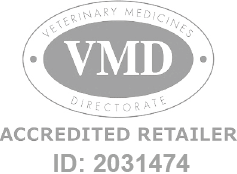 Xeno 200 Spray is a Prescription Only Veterinary Medicine and by law requires a prescription from your vet. Do not use on any other animals than those indicated including dogs, tortoises and turtles.